Spring has sprung in TN super early! We’ve already seen many 80 degrees days and counting. So it got me wanting to do something about my patio. Clean it up, make it new and different! 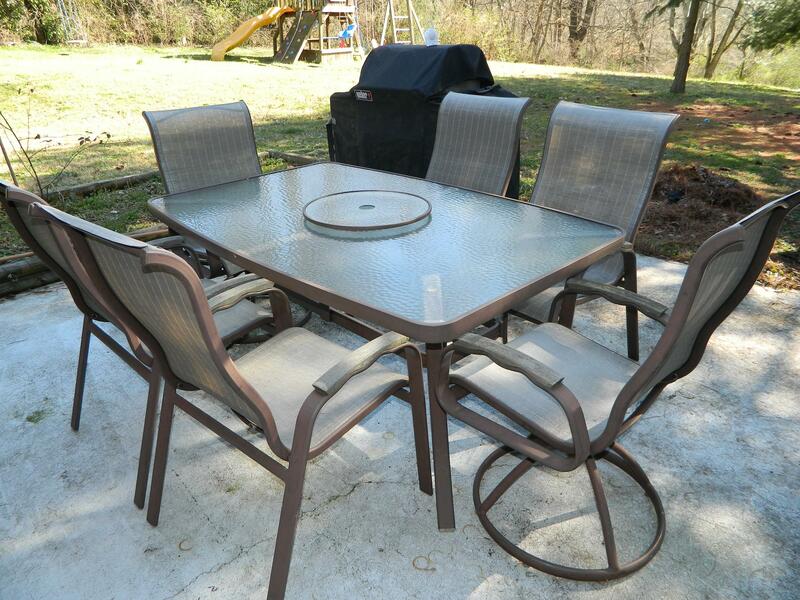 So, first thing first, sell my old patio set to give me a budget to work with! Now i had my nice little budget of $125 to spend on my patio update. Of course i’m not walking into any store with $125 and walking out with more than cushions to go with the furniture i don’t have. 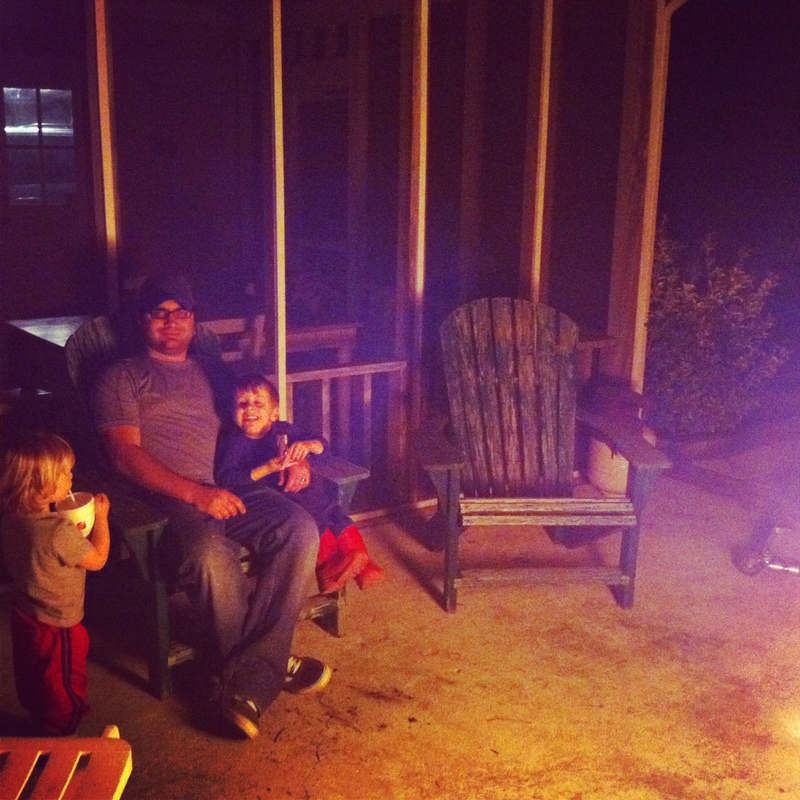 So, you guessed it, i started stalking Craigslist for patio furniture. Ignore the Adirondack chair in the corner for now (i’ll get to that in a minute) & how dirty my patio got in a couple of days from the previous picture. 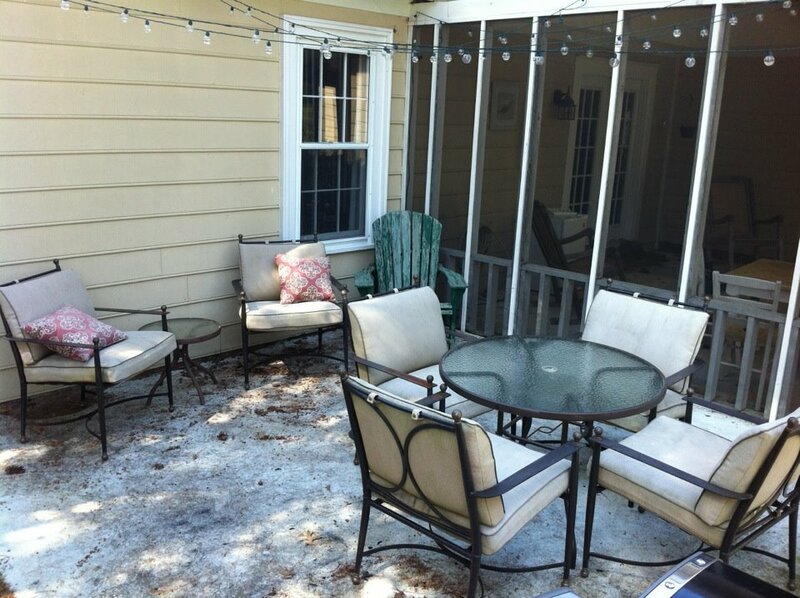 Focus on the round glass table, 4 chairs, cushions, umbrella stand (under the table) and the 2 chairs with the pretty pillows and their cushions. See all those pretty, wonderful patio items? Good. I don’t know the best, most exciting way to put how much i paid for it, so i’ll just say it, NOTHING! Isn’t that superb? It was free! God bless Craigslist! 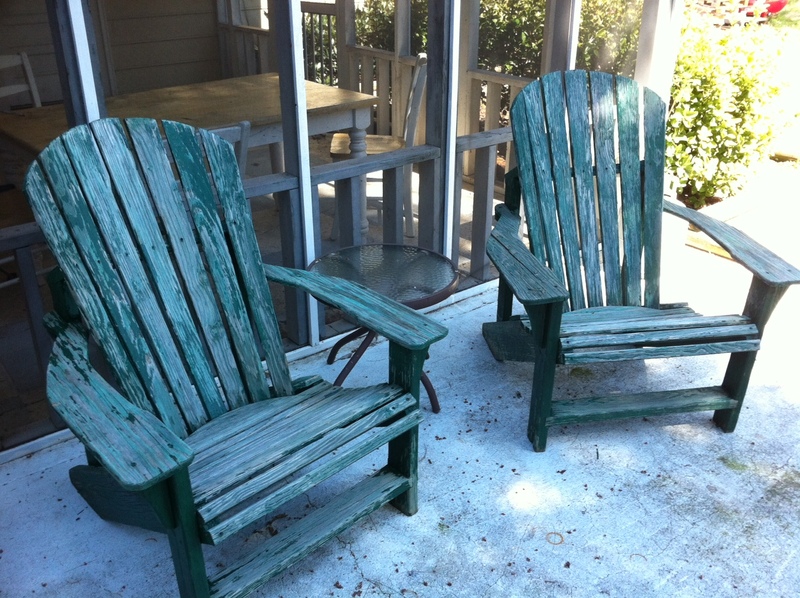 Now, to the 2 Adirondack chairs with the rough green paint job. They are in rough shape, but i love a project so i really don’t see this as a disadvantage! I paid $30 total for these beauties! Now they just need to be sanded and painted and they’ll be fabulous! I’ll try to remember to update with a picture whenever i get them done. So, the moral of the story is, i sold my old stuff for $125 and updated my patio with “new to me” stuff for $30. You do the math.